Brace yourself for a major style win. 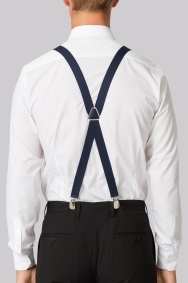 These Moss London braces are all about attitude and youthful style. 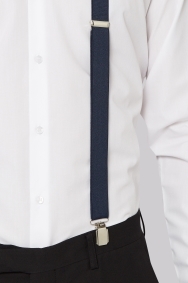 The skinny straps crossover at the back and can be adjusted to fit perfectly, with shiny and sizeable silver clips holding them securely in place. 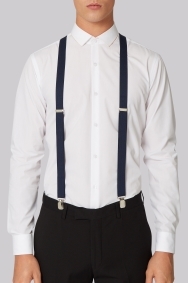 The rich navy colour is a great choice that can be worn both casually and with your formalwear. 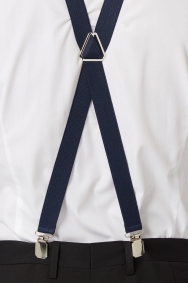 Wear them instead of a belt with your chinos and a button-down shirt for a dinner date, or with a slim fitting shirt and smart trousers on more dressed-up days.